Just a note to say that I have updated my main open mic city guide, The Thumbnail Guide to Paris Open Mics, Jam Sessions and other Live Music. I have done a pretty big update this time, adding an open mic run by Stephen “Cat” Saxo, another new one from Sheldon Forrest, and I have updated the situation at the Rush Bar open mic, which has now been taken over by the Escargot Underground people. And then there is the very cool Carré jam at the bar beneath the Don Camillo cabaret and next door to Serge Gainsbourg’s place…. Check it out! PARIS – Monday night has always been a great night for open mic hopping in Paris. 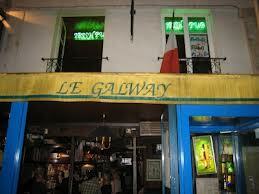 But traditionally I have done the rounds of the Galway, the Tennessee Bar and the Coolin. Now, with the Coolin gone, and the Tennessee bar open mic in never-never-land, if it even exists anymore, the new roadmap enters around the Galway and the Bombardier, which has moved to Mondays from Thursdays. And also the Café Oz Denfert, which has moved to Monday from Sunday. Last night I wanted to see if I could do all three of them, but the Denfert was too far out from the previous two, given my late arrival. But what I found, much to my delight and surprise, was that as far as the two I attended – within about 15 minutes walk of each other, the one being off the Place St. Michel and the other off the Place du Panthéon – there are two strong, and completely different open mics still available on Mondays in the Latin Quarter. I met old friends like Shelita, and new friends like Steve Kessler, and heard regulars like Ollie, who runs the open mic on Sundays of the Pop In and used to do the great Ptit Bonheur la Chance. There were people I’d never heard before, including a Scotsman singing Dylan, and some guy in his 40s or so daring to sing an Abba song, “Dancing Queen,” which I have never – fortunately – seen performed in an open mic before. I should have recorded it, but didn’t! There are big differences between the two venues I did perform at, however. Despite moving to Monday nights, the Bombardier crowd was still one that goes more for the social visit, the sports, the drinking, than the music. But it is a great place for that, and to have music in the background via the open mic. So a musician can use it to practice playing live, but not really trying to worry about grabbing the audience’s participation. The talk will go on! The Galway is by comparison more of a place where the musicians can listen to the musicians, and those who don’t want music, an retire to the back of the bar or the first floor and do as much talking as they want. The Galway has a strange sort of mix between the intimate and the public about it. And Romain’s presentation is as warm and smooth as ever. And the window out to the Quai des Grands Augustins remains one of the great things to perform in front of in Paris. Both remain great places to try on a Monday night – as well as the Café Oz Denfert…. PARIS – I finally got a real chance to attend and play at the new Bombardier open mic in Paris on the Place du Pantheon on Thursday. I mentioned it in a previous post, but that night was not the right one to go into a loud, raucous pub environment where there is often little interest by the clients in listening, and lots of interest in talking. In the end, on Thursday night, I didn’t care who listened, I just wanted to sing. 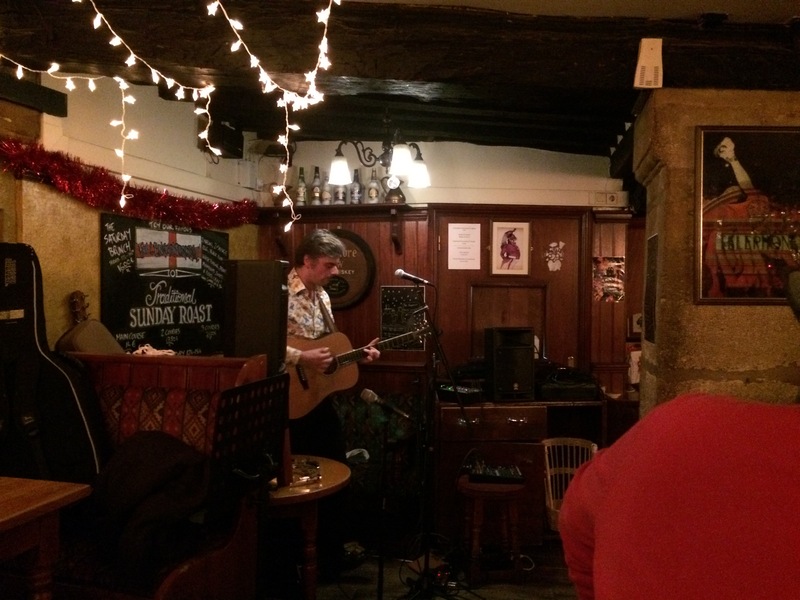 So it was that I went to the Bombardier, a cozy student pub in the middle of the Latin Quarter, and I sang a few songs, and several other people sang a few songs, and the crowd died out sufficiently at one point that there were even a majority of people listening. In fact, I am certain I will return to this open mic – run on Thursday by Brislee Adams, who also MCs the Tennessee on Mondays and the Café Oz Blanche on Tuesdays. It’s a good fun, relaxed environment, and the sound system was really fine to play on, even if the sound may not make it to the other side of the pub during the height of chatter. But that’s hardly unique to the Bombardier as far as the world’s open mics go. Last night, Friday, I had the idea to go and hear my music friend John Redford perform in a new weekly gig he has at a small bar in the Stalingrad neighborhood, called the Oasis 244, just around the corner from the Point Ephemere and near the Quais de Seine, Metros Stalingrad and Jaures. John was playing his electric guitar and singing, and accompanying him on sax was Stephen Saxo, from Pittsburgh. It was a really small bar, this small Oasis, and apparently it has an open jam session every second Thursday. The stage is small and cute, and John’s small sound system actually was not that bad. After John played his crooning melodies of cover songs and personal compositions, he opened the stage to anyone who wanted to play. He was careful to point out that it was not an open mic, but he wants to open the stage from time to time when it feels right. All in all, two fun and rewarding musical evenings in Paris now that I finally feel that I’m coming down to the ground and landing two or three weeks after the sixth worldwide open mic adventure…. PARIS – This has been a weird week: I arrived back very early on Tuesday morning from a two-day trip back from Sao Paulo via New York’s JFK airport, meaning an entire day spent in JFK, and two night flights in total to get back home. To say nothing of the number of time zones. And so I then arrived in paris early on Tuesday morning, and as I walked back to the apartment from the Port Royal RER station, I passed through a street market on the 11th November public holiday, and as they set up the market, several of the food hawkers said hello to me with bright, fresh morning smiles. Could this really be Paris? The place I was told decades ago that I would love for its city, but hate the people? So anyway, I would end up sleeping off jet-lag that very same morning, then going to the Baroc open mic on the Tuesday night. 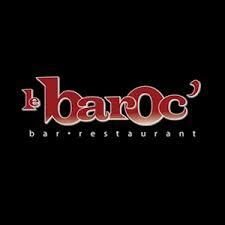 It already seemed like a different culture, a different world, a different Paris, but the Baroc is also a fabulously atypical Paris. Or rather, it is perhaps one of the most quintessential Paris experiences in a bar that has kept its authenticity, and that loves music. The open mic, as usual, had a wide cross-section of fun and interesting acts, and the sound and MCing was done in the usual friendly manner by Réjean, the Frenchman with a more Quebec-sounding name than French French. There were some familiar faces, but some new ones too. In any case, I need not go into detail, since you can just look at the videos…. Just needless to say, it felt like home after the two weeks away in Sao Paulo and Austin Texas…. On Wednesday night, it was off to the Swan Bar’s vocal jam of Wednesday night. And there, I found no familiar faces except that of the bar owner, the barwoman, and Sheldon Forrest, the pianist, MC, who has presented the vocal jam for several years now, as this has become one of the mainstays of the Paris scene, especially for those who like jazz – although Sheldon (who plays piano for the singers who need a musician) points out each time that all forms of music are welcome. My only problem with the Swan Bar is that it’s stiff prices won’t attract the majority of poor musicians, as there is even a cover charge for those wishing to play. Thursday night it was off to a new open mic at the Bombardier pub at 2 place du Panthéon. But when I arrived I saw that this open mic – that night, at least – was one where the massively full student pub had a crowd more interested in talking than in listening to the music. So because I was planning to attend with several friends, some of whom had not heard my music before, it was not the right place to go. We ended up going not far away, to the Café Universel on the rue St. Jacques to hear the Liv Monaghan Duo, and a recitation of poetry – or verse – by Lisa Marie Jarlborn, whom readers of this blog will remember the rather provocative videos of from four years ago at the Ptit Bonheur la Chance. Friday night, MORE open mics and concerts followed, but I’m going to give that more space tomorrow, with videos.